There’s a great tradition of criminals disappearing onto public transit in order to escape the scene of the crime, but this doesn’t work so well when the crime is stealing a whole cash register. 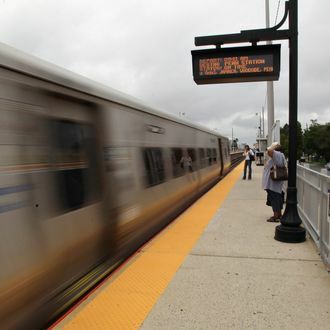 After getting reports he was acting suspiciously, police approached Cory Ford, 34, of Newark, on a New York-bound train Tuesday morning and found he was carrying a cash register stolen the night before from a beauty parlor in Patchogue. Taking the money out first is for followers.